The Simpsons' sixth season originally aired on the Fox network between September 4, 1994, and May 21, 1995, and consists of 25 episodes. The Simpsons is an animated series about a working class family, which consists of Homer, Marge, Bart, Lisa, and Maggie. The show is set in the fictional city of Springfield, and lampoons American culture, society, television and many aspects of the human condition. The showrunner for the sixth production season was David Mirkin who executive-produced 23 episodes. Former showrunners Al Jean and Mike Reiss produced the remaining two; they produced the two episodes with the staff of The Critic, the show they left The Simpsons to create. This was done in order to relieve some of the stress The Simpsons' writing staff endured, as they felt that producing 25 in one season was too much. The episode "A Star Is Burns" caused some controversy among the staff with Matt Groening removing his name from the episode's credits as he saw it as blatant advertising for The Critic, which was airing at the time. 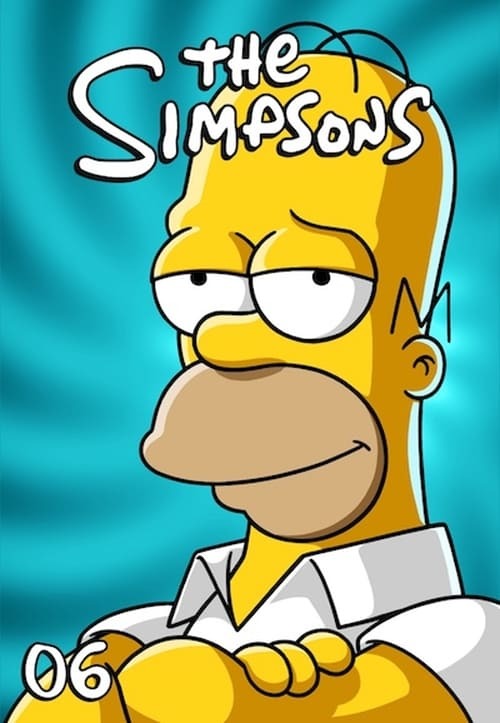 Fox moved The Simpsons back to its original Sunday night time, having aired on Thursdays for the previous four seasons. It has remained in this slot ever since. The sixth season won one Primetime Emmy Award, and received three additional nominations. It also won the Annie Award for Best Animated Television Production.